I've been nominated! And it's weird! 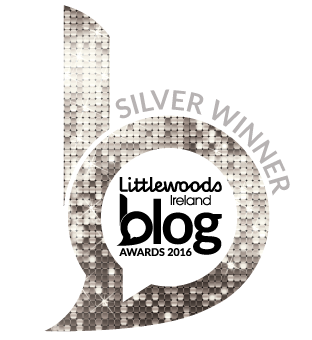 Ehm, so this is a bit weird but....I've been longlisted for the Irish Beauty Blog Awards? Yeah, I don't know how that happened either. I'm lucky if I shower every second day and my idea of the perfect lipstick is one that hasn't been dropped down the toilet by my kids at some point, beauty blogger I am not! I'm in the "Best Design Blog" category, which I don't even know if it refers to the actual design of my blog or the fact that I talk about design. But hey, it's really lovely to be included! Every time something like this happens it just makes me feel a little bit more justified in spending so much of my time dicking about on the internet! I'm quite proud of my little blog, and to get this kind of positive feedback is amazing. So, if you'd like to vote for me that'd be awesome, and you can do so here.